Hey guys! I'm Laurie. Most of you probably know me already, as I'm sure a lot of you are here from Instagram or Facebook. Or it's probably just my Mom trying to, ya know, "support me" or whatever. I won't keep you too long but I'd like to do a quick intro. I'm a 27 year old Wannabe Southern Belle living here in a small Maryland town. 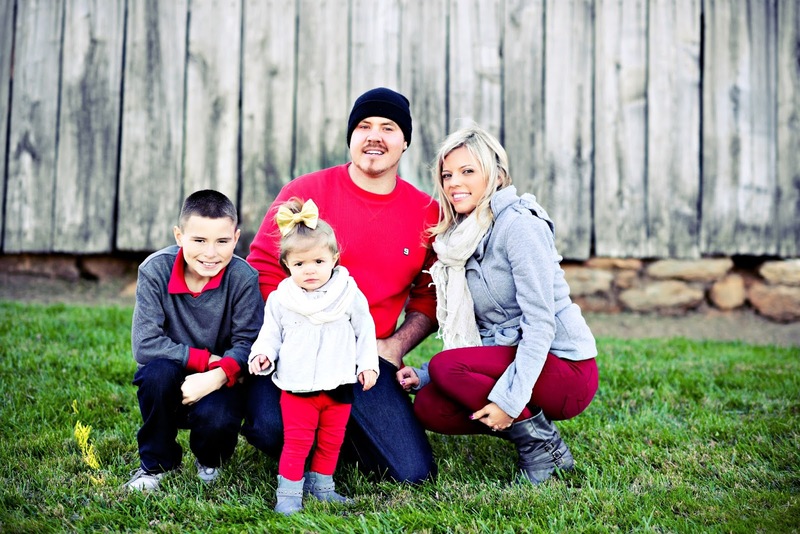 I'm a Momma to two beautiful children, my son Nick, 12 and Savanna, 2. I love collecting all things that tell a story, old mason jars, sweet tea and chalk paint! Or as my son would say "My Mom likes taking old things and making them look older." I'm an Ex- Sports Journalist turned Stay At Home Mom. Football is something I will always be passionate about. I'm a beach girl, and love the sunshine. But I also love the mountains and getting cozy watching the snow fall. I created The Glam Farmhouse to inspire others and show you that, no decorating renovation project however big or small is too hard. Anything can be made beautiful with hard work and dedication. I'm also here to tell you, You don't have to have a big fancy house or a lot of money to create amazing spaces or a cozy home. 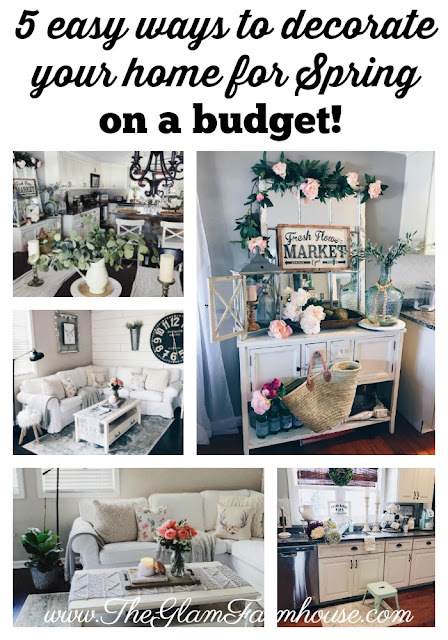 I will show you here, how to decorate with things you already have and on a budget. I haven't always had a passion for DIY projects or Interior Design, it didn't start for me until we purchased our first home in 2011. It was, and still is, a major fixer upper and work in progress. However, it's truly been fun making our house a home and I'm here to share with you all about our journey. I'm also here to tell you that no project, however big or small, should intimidate you. You are capable of anything! I will prove it to you, right here, everyday on this little blog. I'm so excited to have you here and can't wait to share more about my journey with you! I will also be doing a Friday Shoutout to Small Shops every Friday, starting next week. 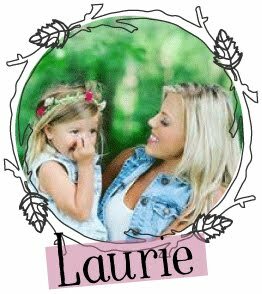 If you are a small shop and are interested in being featured and perhaps hosting a giveaway or offering a code of some sort to my readers or followers please E-mail Me: lauriescardina@gmail.com. I'm so happy you're here and can't wait to see where this journey takes us! Congratulations on your new blog! Can't wait to see everything you have to share with us! Love your style! Ahh! Thank you so much Kelly! It makes my heart happy to see you blogging again!!! Yay! Congrats on your new adventure! Can't wait to read your blog! This is going to be exciting!! I'm so excited for your blog friend!!! You have killer decorating style and you are one of my faves!!!!! Can't wait to see what you share here! I just got even more excited when I discovered you live in MD! I do as well and I've been trying to find a blogger buddy who has similar taste and style! And someone who can give me some pointers, possibly collaborate in the future! Shoot me an email at otblondie@gmail.com if you'd like to chat! !